Message on the card inside reads: "Friendship is the sweetest gift"
For Christmas tree decoration, holidays or for everyday, ornaments celebrate lifes milestones in a small, commemorative format. 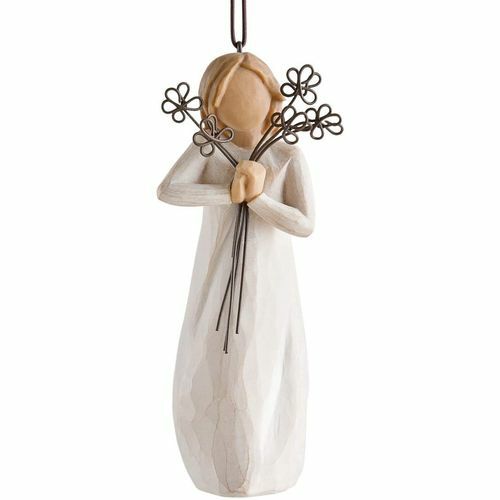 This ornament is a smaller-sized version of Friendship #26155 with brown elastic cord for hanging. This is not a toy or childrens product and is intended for adult use only.